Our family tradition is to gather around the computer and participate in Colorado Gives Day — the online, 24 hour day of giving — together. This past year was different...in a great way. Our two daughters, Stella and Claire, donated through the new KidsforColoradoGives.org website, the kid-friendly sister site of ColoradoGives.org. We gave Stella and Claire a budget and emailed each of them a Giving eCard to use on the kid site. They loved the autonomy of spending “their own money” and excitedly began planning how many organizations they wanted to give to and how much money they would have for each. They dove into the process of researching causes and organizations. 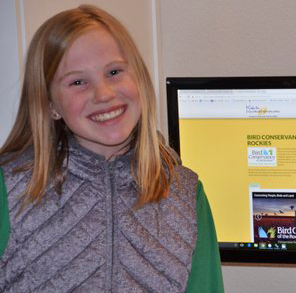 Stella, age 10, is interested in environmental and animal issues. 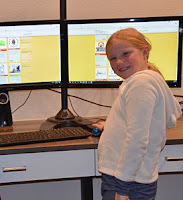 Claire, age nine, is interested in helping people with disabilities and is a big supporter of the Anchor Center for Blind Children. They each spent an hour reading the profiles about different organizations and making their donations online. One particularly special aspect of this past Colorado Gives Day for my daughters was seeing how many nonprofits there are in Colorado. There were lots of “oohs” and “aahs” when my daughters realized how many organizations they knew. “I liked watching the live scrolling bar that showed you the names of the nonprofits getting money,” Claire shared. As parents, our biggest revelation was how empowered our daughters felt to be making their own decisions. They liked having their own account and took more ownership over the process than in the past. It was exciting to see how engaged they became and how giving is becoming an important part of their identity. CiviCore is proud to partner with Community First Foundation to support ColoradoGives.org through its flexible Giving Platform. CiviCore’s mission is to make a social impact through technology solutions that improve the use of information in nonprofits, foundations and public agencies.